While moving is difficult for all of us, moving is even harder on kids. It's quite normal for children to feel like they don't have any control over the move and that they were never part of the decision to move. So to ensure your kids feel like they're involved in this big life-changing event, and to help make the transition a little easier, try the following tips and ways to help them adjust. When told that the family is moving, small children often feel scared and uncertain. For older children, the fear of leaving friends, teachers, a school they know and a familiar routine can be equally hard. For both young children and older children, there are some things you can do to explain why you're moving and help them understand why this change is best for the entire family. Getting children involved in the move is a great way to keep them from feeling lost, allowing them to feel like an integral part of the moving process. Find out what you can do to help them be more in control of this major change, including tips on keeping in touch with friends, saying goodbye to old places and suggestions on how to help them move on. Leaving behind a home that they grew up in is usually the hardest thing for children to adjust to when moving. To ease the transition, no matter what their age, involve them in packing their room, including deciding what should be moved and what to give away. From going to the store to buy supplies to planning their new room layout, the tips in this guide will help them feel more in control of the move. Unlike vacation-time, moving brings an entirely different set of difficulties and issues that you'll have to deal with as a parent. It's one thing to plan a fun road trip, it's another kind of "fun" traveling because of a move. To avoid too much hair-pulling, find out how to involve your family in the trip planning, and prepare as best you can, for the trip to the new home. Once all the packing and moving is completed, children will need to settle into the new space. For both younger children and teens, this may be the hardest adjustment they have to make. Saying goodbye to old friends was difficult, and while there's usually some excitement of moving to a new home and a new neighborhood, kids often feel lost for a while and uncertain of what their new life will look like. But there are ways to help them adjust to the changes and to feel more at home in their new space. Moving schools is always difficult; finding a good school for your child, one that has everything he or she needs, can be a challenge. Use these guides to find the perfect school in your new hometown with tips on what to ask, how to get a tour and involve your child in the decision. Moving to a new school is usually the hardest part of a move for kids. Switching schools means making new friends, getting to know new friends and figuring out how to navigate their way through. This is particularly difficult for preteens and teens. 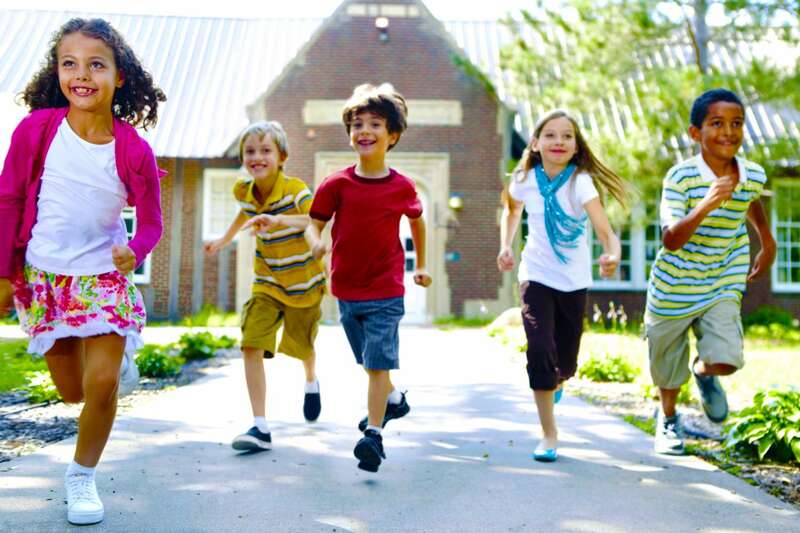 So, to help them transition to their new school, check out these tips and suggestions, including how to introduce them to the new school and ways to have them fit in a little easier.